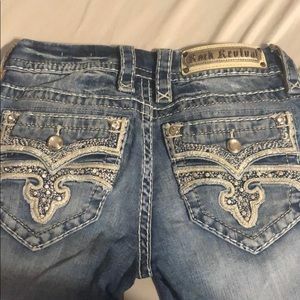 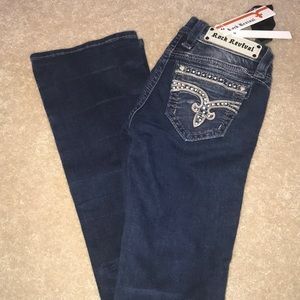 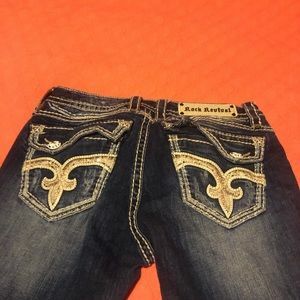 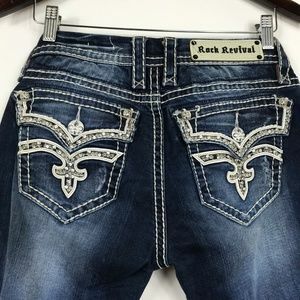 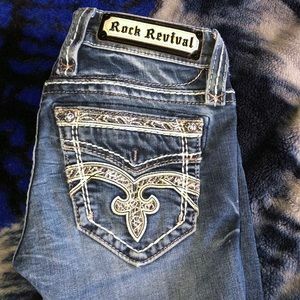 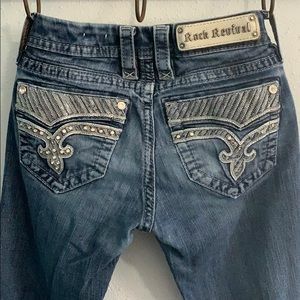 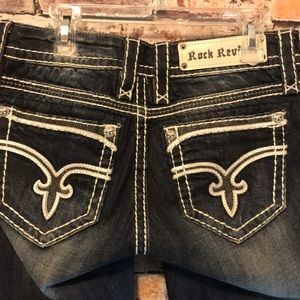 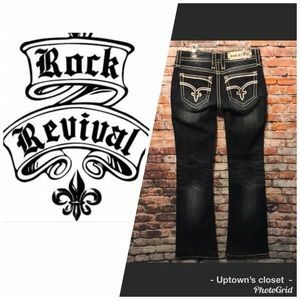 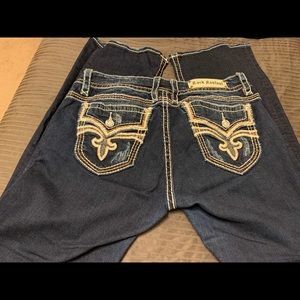 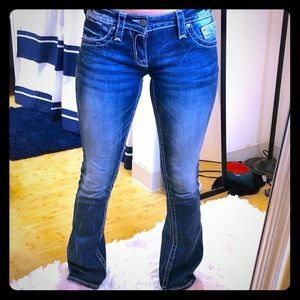 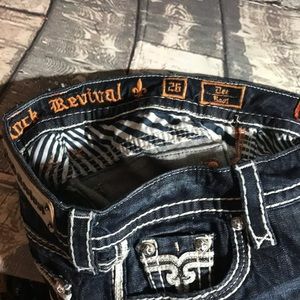 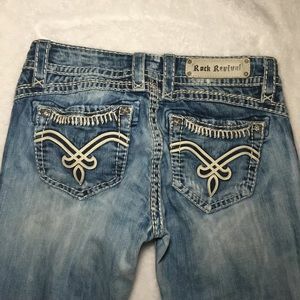 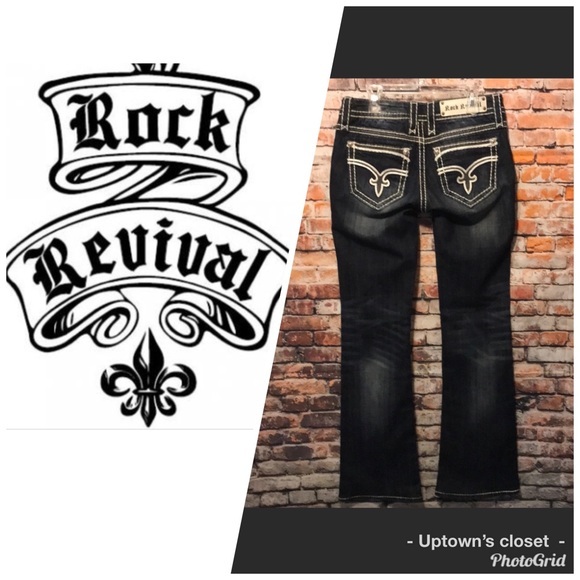 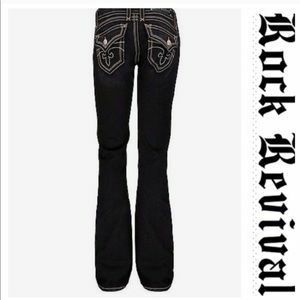 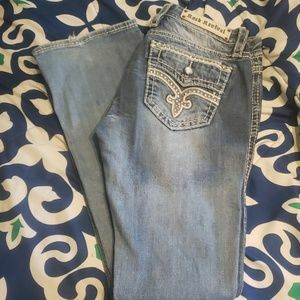 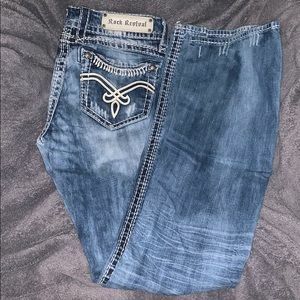 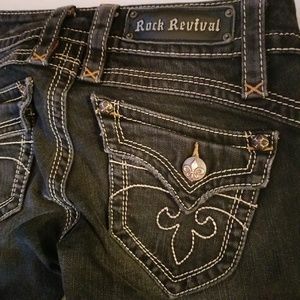 Authentic rock revival jeans. 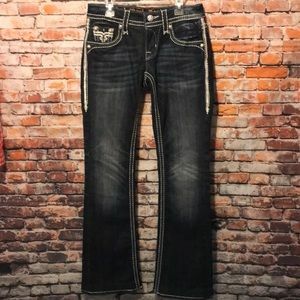 “Dee” style. 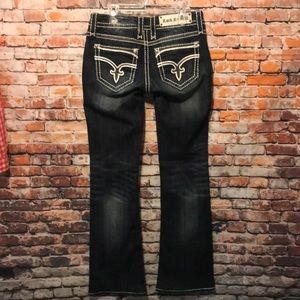 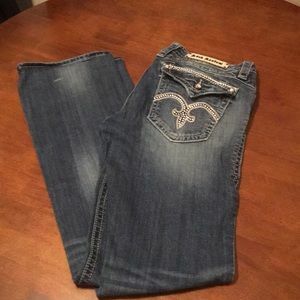 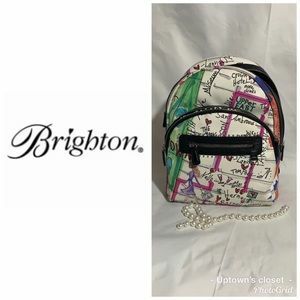 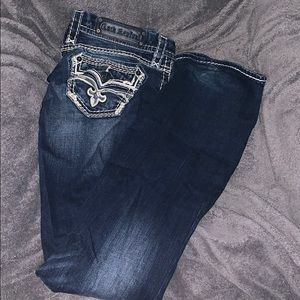 Women’s ladies teens and juniors size 26. 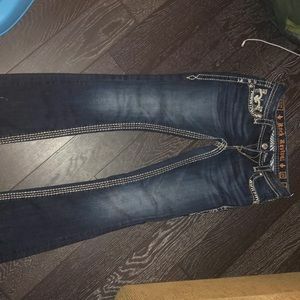 Inseam is approx 31”. 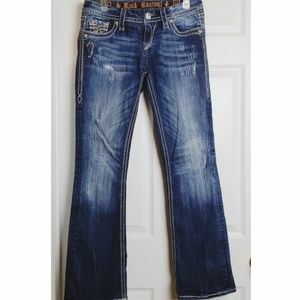 I think they’ve been hemmed & you can’t tell. 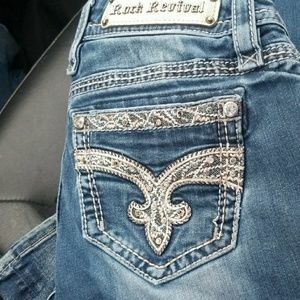 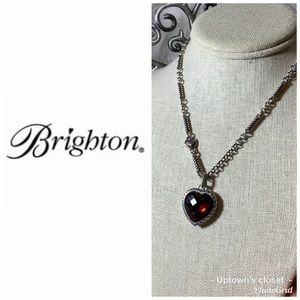 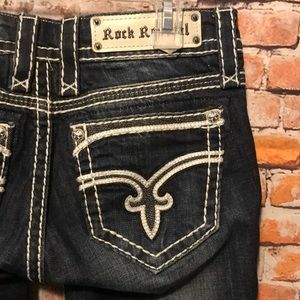 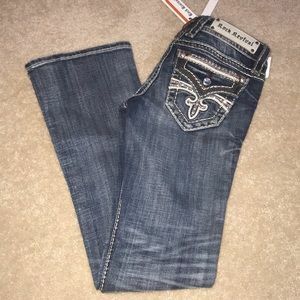 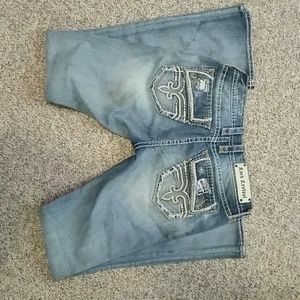 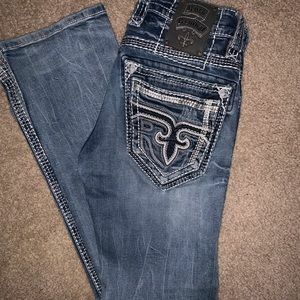 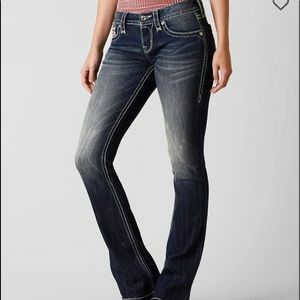 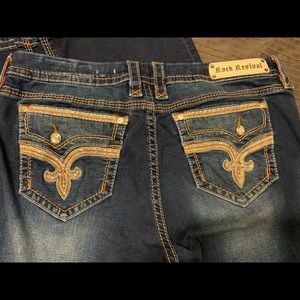 Most Sold at Buckle stores. 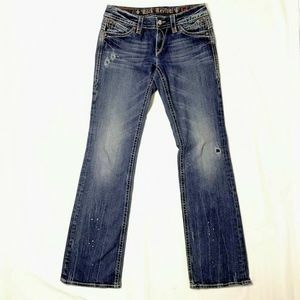 Beautiful denim with whisker washed design. 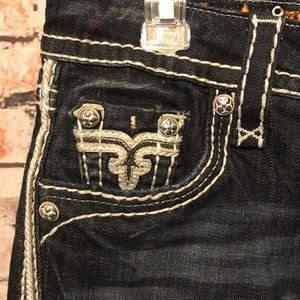 Has sequins in the designer patch hole. 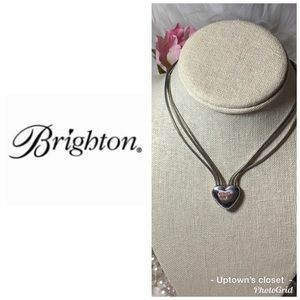 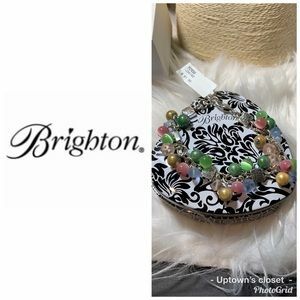 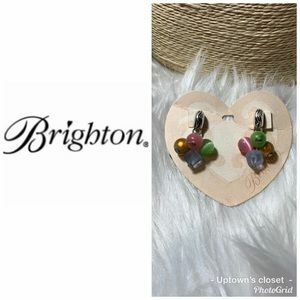 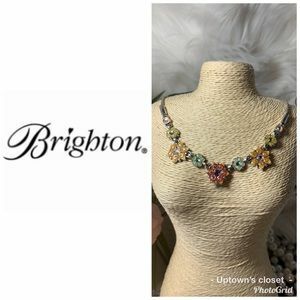 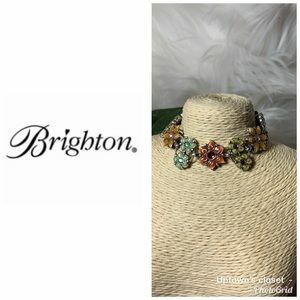 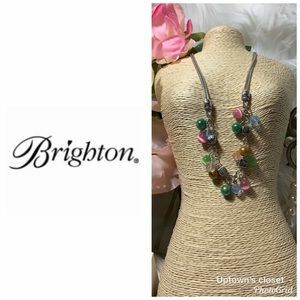 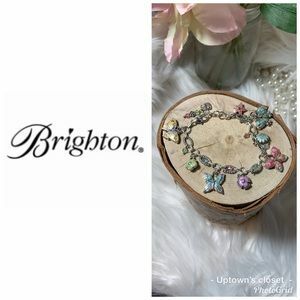 Look for more brands like Miss Me & Lily Pulitzer in our closet.